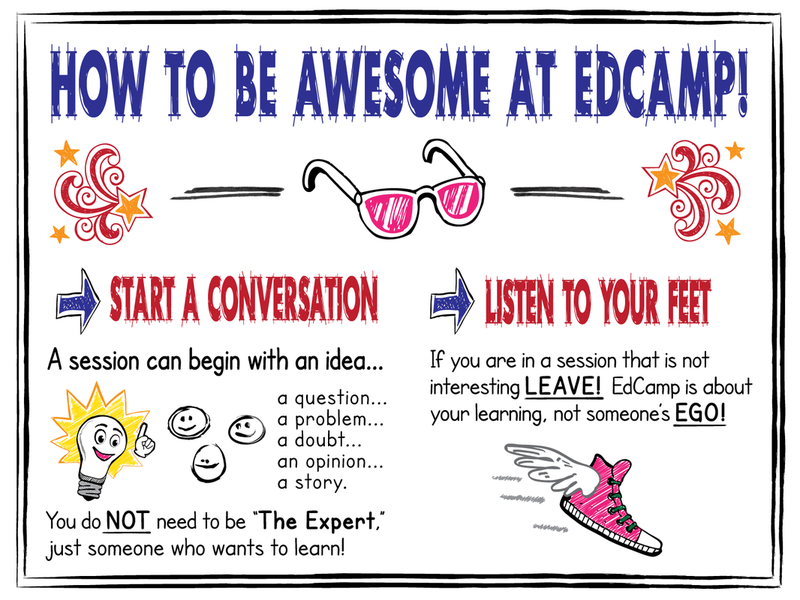 Last November, LEARN and some local partners decided to organize an EdCamp for educators in Quebec – ReMixEd Camp MTL. The idea was simple: get a space, some food, some prizes, and amass a hundred or so educators together on a chilly fall Saturday to talk about all things education. A new way to approach professional development, a new way to connect with educators from different milieus, a new way to improve one’s practice through conversation and collaboration, a new way to grow as a professional, a new way to develop your growth mindset. 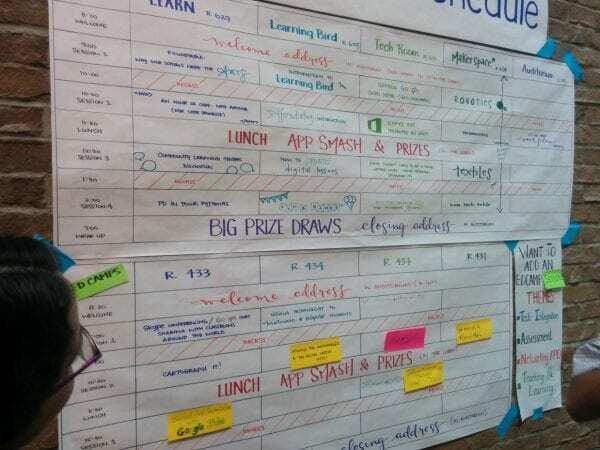 Welcome to the “unconference”. These unconferences have two rules that all attendees must follow; namely be selfish and don’t break out that powerpoint! This is a day for professional learning and conversation. If a session is not giving you want you need, get up and find a session that does – this is called the Law of Two-Feet. Even better, post a session topic that you’re interested in discussing on the communal agenda. Because the intent is to be unstructured (but not unfocused), letting ideas flow freely through engaging conversation, being shackled to your favourite powerpoint as you stand at the front of the room is not where we want to find you. 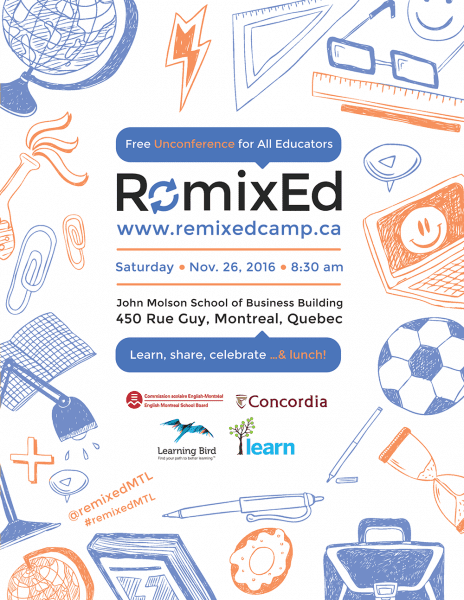 At ReMixEd Camp MTL 2016 we will offer your typical edcamp sessions, but we mix it up a bit. This year we will have an all -day full-on Makerspace set up for attendees, as well as an App Smash at noon for participants to show a crowd in 60 seconds how they use a given app in their classroom. And, of course, prizes! We get many sponsors that send amazing educational products for us to give away, like apps, iPad cases, document cameras, stickers, posters, tablets, subscriptions, discounts and on and on… Most participants leave with a goodie. This year we plan on ending in the early afternoon, so we will set up what we are calling the “energy table” that will offer snacks and drinks to get you through till two o’clock. We’ll even watch your kids for the day. We believe that a learning event of this kind needs to be open to all, so if you’re an educator or a soon-to-be educator, join us. The more diversity in our participants, the richer the conversations. We have made sure to work into the day lots of times for networking with fellow educators. Oh yes, I forgot to mention, this event is completely free, yes free. Please visit our site www.remixedcamp.ca and register for the event today! You can follow all the action on the Whova app as well by searching for “remixed” in the app. Find us on Twitter and Facebook too! I am looking forward to this year’s RemixEd. Last year’s was a lot of fun – it was great to be able to meet and talk to Montreal-based educators in other domains – we all benefit when we learn from each other!